Somewhere in the entrepreneurial journey from an idea to a startup, founders will often meet friends and colleagues to brainstorm and develop their ideas. In some of these conversations “Oh I think you should meet XYZ person who’d be great for feedback” event happens multiple times. Some of these people are potential advisors for your startup. Here are some thoughts on how to think about advisors at various stages of the idea-to-company odyssey. Remember your Advisor’s job is to help you make non-obvious choices in the face of imperfect and sometimes non-existent data. Recruit accordingly. 1. The most important skill an advisor can bring to you and your idea is a way to improve your idea by asking you the right and often ‘hard’ questions. People who want to replicate the success they had even if in the same area as your startup by repeating the same approach/execution/recipe are not the right ones for you. Beyond the usual “Oh Its nice” or “Its great” responses, listen for something that signals that your idea made them think. If they then come back with questions you haven’t yet asked yourself, they may be a good match as an advisor. 2. Don’t confuse mentor with advisor. Mentors are a rare breed of individuals. They are good at asking questions and making you learn regardless of what they or you are working on. Conflating the two may not necessarily be good for you or your startup. 3. How do they talk about failure and what they’ve learnt from the failure matters as much as what they’re successful at. Ask them what they have learnt in the last three years as a result of a failure that has now changed their thinking or behavior in a meaningful way. 4. Make sure you ask them if they have played the role (paid in equity usually) with at least one other startup. You want to ensure that they are not going to play ‘Product Manager’ for you with good intentions and potentially disastrous results. Advisors are not going to invent your product or your market or your product-features. They can be invaluable in pointing out the voids in your product strategy or feature-list or competitive dynamics. Advisors who are good at pointing out what doesn’t exist are often far more helpful than the ones who suggest a specific feature or two. 5. Ask them for a specific commitment of time, effort, and introductions you expect from them over the first year of your collaboration. Introduce them to your other advisors and create some opportunities for them to collaborate – enabling them to think beyond their usual domain is effectively delightful compensation for them beyond the equity you will give them. 6. 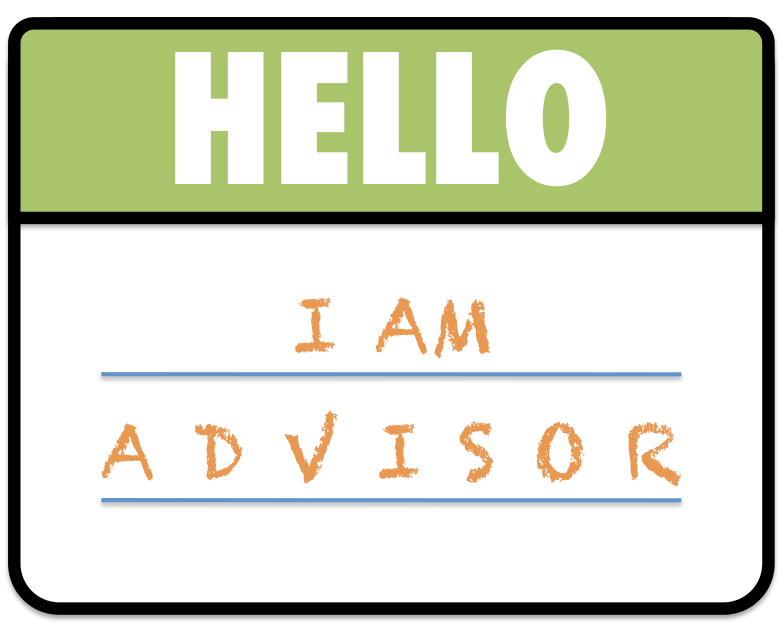 Your advisors are not your investors. Keep these two roles separate. While there may be some overlap, they have distinct responsibilities for you and your startup. For certain startups and founders, an ‘entourage’ may be more appropriate which functions as early adopters and influencers in your marketplace. Perhaps the best example of this approach was about.me where @tonysphere and other founders were well connected and signed up 26 advisors to help them push to a million users within a year and an acquisition by AOL. If you’re not as well connected as the fine folks at about.me, this may not be the way to go. A weak entourage is baggage, not balloons. for early stage (between idea stage and funding) formal advisors, expect to share about 1% equity which goes down to approx 0.25% for seed-funded startups and often between 0.1 and 0.25% for developing stage startups. Typically the equity vests monthly over a year without any cliff and there is no other compensation (e.g. cash).